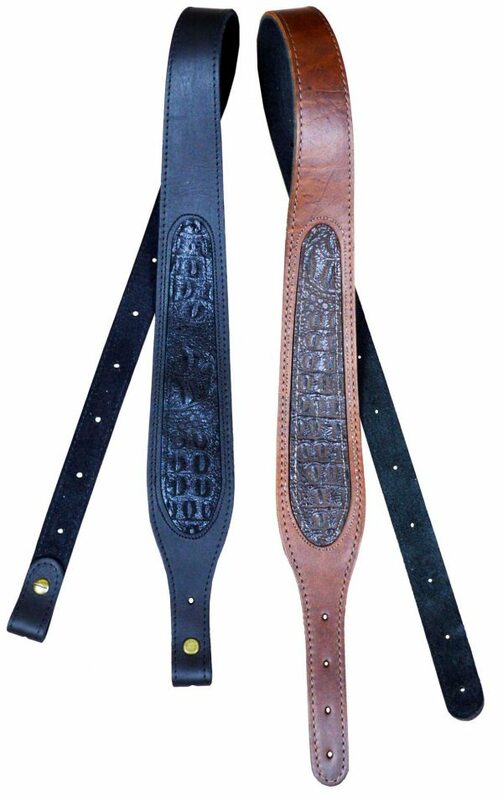 60mm tapered, suede backed and stitched, genuine leather gun sling with a croc inlay. Croc Leather SlingThe second sling from Colonial leather, and it did not disappoint, once again soft comfortable with a unique character. The stitching is nice and the suede backing is excellent in stoping slippage over the shoulder while maintaining comfort and usability. I have many slings as I have a sling for each of my rifles and I have now made this my number one sling brand, and will be purchasing more in the future. Once again unique, comfortable, easy to purchase and Australian made at a very competitive price, what more could you ask for.